Please excuse me if my absence caused any concerns among all of my readers. From time to time I shall, like all people, need to get away from the blogosphere and step back from the responsibilities of blogging. But I do not think I shall be staying away often or more than just temporarily. 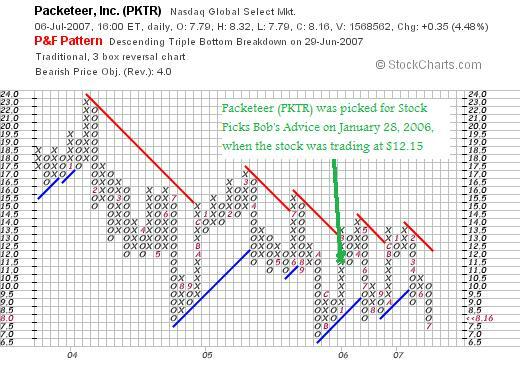 But it is the weekend, and before the day is done, I would like to get a review in on past stock picks from the weke of January 30, 2006. My last "Weekend Review" was on July 7, 2007, when I reviewed the week of January 23, 2006. Let's see what was posted during the next week and how all of those stock picks would have turned out if they were purchased and held. As I have commented on frequently on this subject, these reviews assume a "buy and hold" strategy with investing, with equal dollar amounts utilized in purchasing each of the stock selected and no sales of any of the holdings regardless of the price action of the holding. 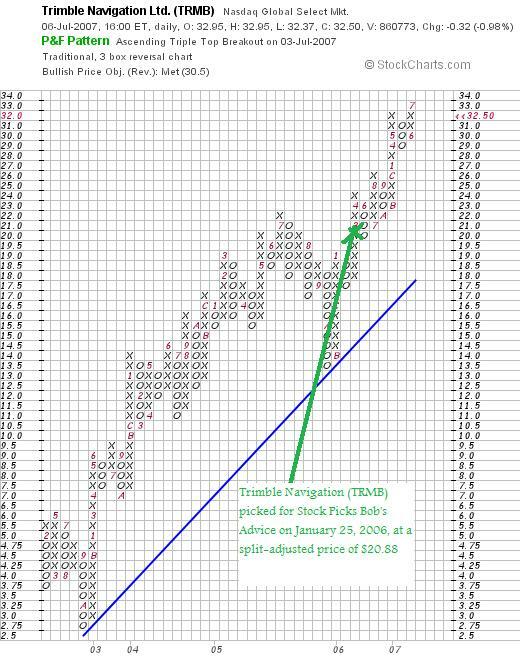 In practice I recommend and employ a disciplined strategy of selling my declining stocks quickly and completely and my gaining stocks slowly and partially at targeted appreciation points. However, for the sake of analysis, I utilize a "buy and hold" assumption for all of these reviews. 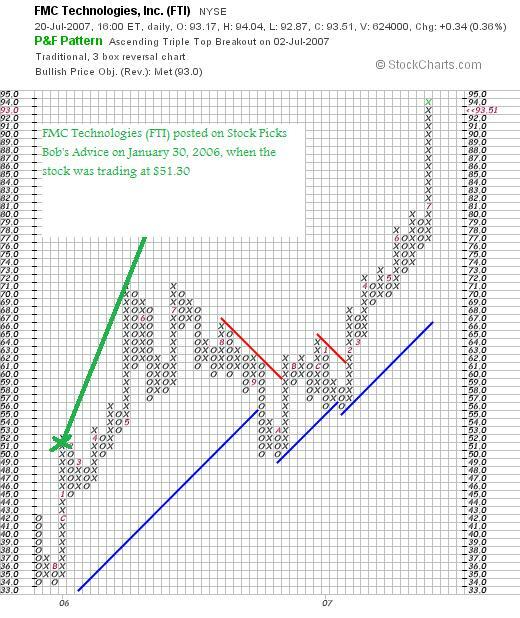 On January 30, 2006, I posted FMC Technologies (FTI) on Stock Picks Bob's Advice when the stock was trading at $51.30. FTI closed at $93.51 on July 20, 2007, for a gain of $42.21 or 82.3%. 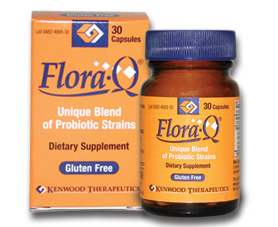 On May 9, 2007, FTI reported 1st quarter 2007 results. Revenue came in at $980 million, up 19% over the 1st quarter 2006 revenue results of $827 million. Net income climbed to $61.3 million from $47 million and diluted earnings per share increased to $.89/share from $.67/share last year. 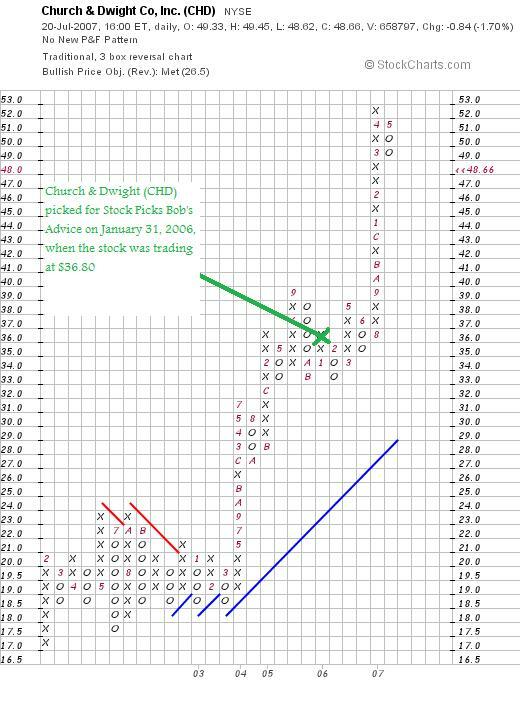 On January 31, 2006, Church & Dwight (CHD) was picked on Stock Picks Bob's Advice when the stock was trading at $36.80. CHD closed at $48.66 on July 20, 2007, for a gain of $11.86 or 32.2% since posting. On May 8, 2007, Church & Dwight announced 1st quarter 2007 results. Revenue increased 16% to $514.3 million from $442.4 million in the prior year same period. Earnings came in at $45.1 million up from $39.9 million or $.66/share, up from $.60/share last year. This was a mixed results in terms of expectations, as analysts had been expecting income of $.63/share (the company beat expectations) on revenue of $526.6 million (the company missed on revenue). 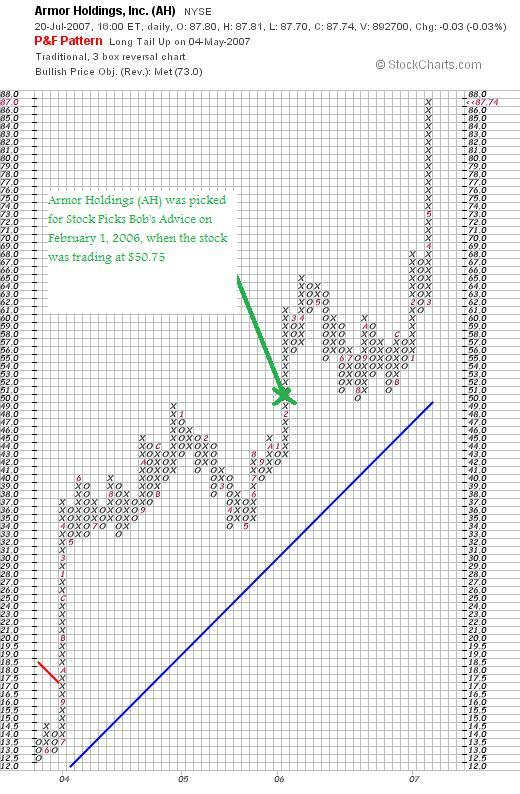 On February 1, 2006, I posted Armor Holdings (AH) on Stock Picks Bob's Advice when the stock was trading at $50.75. AH closed at $87.74 on July 20, 2007, for a gain of $36.99 or 72.9% since posting. On May 7, 2007, Armor Holdings agreed to be acquired by BAE Systems Inc. for $88/share. The Justice Department approved the acquisition on July 18, 2007, and shareholders will be voting on this acquisition on July 25, 2007 (in 3 days). With the stock being acquired I do not have an opinion on any further purchases or sales of this stock. 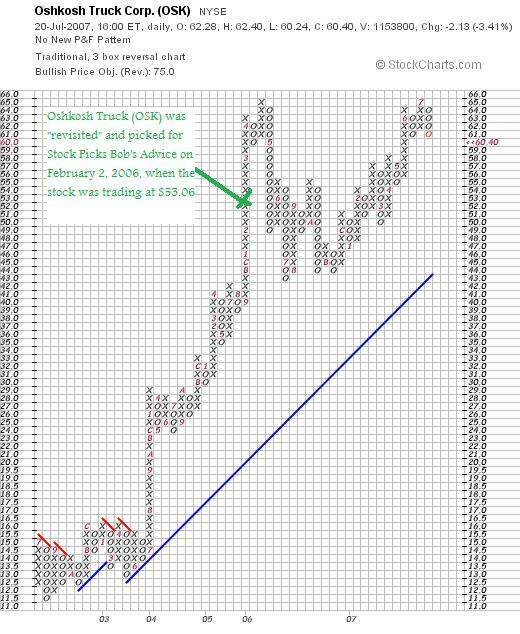 On February 2, 2006, I "revisited" Oshkosh Truck (OSK) and picked the stock for Stock Picks Bob's Advice when it was trading at $53.06. OSK closed at $60.40 on July 20, 2007, for a gain of $7.34 or 13.8% since posting. On May 3, 2007, Oshkosh reported 2nd quarter 2007 results. Sales nearly doubled to $1.66 billion from $844.8 million with much of that increase ($707.9 million) due to the recently acquired JLG Industries. Net income came in at $50.9 million or $.68/share, up from 449.8 million or $.67/share the prior year. The company met analysts' sales expectations which was for $1.66 billion in sales, and beat earnings expectations which had been at $.64/share. The company affirmed 2007 outlook of $3.15 to $3.25/share in earnings, which is below the average analyst which had been at $3.41/share. Finally on February 3, 2006, I posted Aviall (AVL) on Stock Picks Bob's Advice when the stock was trading at $35.28/share. On May 1, 2006, Boeing (BA) announced the acquisition of Aviall for $48/share. This was a quick gain of $12.72 or 36.1% since the stock was picked. 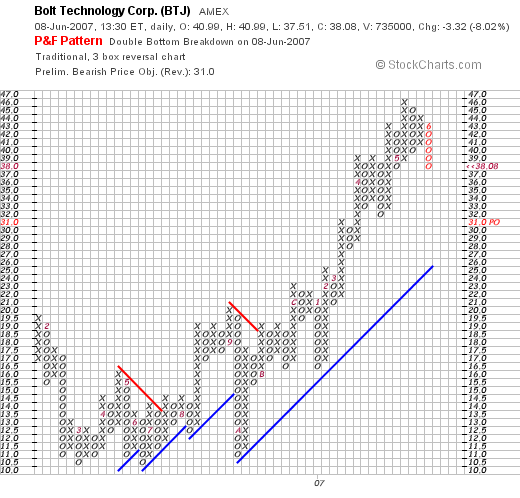 With the stock now owned by Boeing, this stock will no longer be followed by this blog. So how did I do during this week during the end of January, 2006, and the first few days of February, 2006? In a word, phenomenal! These five stocks showed an average appreciation of 47.46% since posting! And two were acquired! Certainly, past performance is no indication of future performance. And don't forget I am just an amateur! But wasn't that a GREAT job of picking stocks! Thanks again for visiting my blog! If you get a chance, be sure and leave a comment or question on the blog or email me at bobsadviceforstocks@lycos.com. If you can, be sure and visit my Stock Picks Podcast Website. Now, with my participation on the Covestor Site, you should also visit my Covestor Page which has been following my actual trading account since early June, 2007. Also, you might want to visit my Social Picks Page where that blog has been monitoring my picking activity on this website. Are you busy enough now? Regards to all of my friends! Have a great week trading. I wanted to let you all know that I shall be busy with a few things this week and have decided not to be blogging (unless I break that rule as well) until I get things taken care of. If I make any trades, I shall be posting them, but shall try, if at all possible, to stay away from my computer (I have tried before :(), and get a few things done. Expect to be back blogging in next few days. Drop me a line in the meantime if you have any comments or questions! Kinetic Concepts (KCI) "Trading Transparency"
As I mentioned yesterday, my Precision Castparts (PCP) stock hit an appreciation target and I sold 1/7th of my holding. This was right after my MEDTOX (MTOX) stock tanked and I bailed out of that entire position. The long and short of it (really the long and long) is that with the sale, and being at 18 positions (of my maximum of 20) I now had a 'permission slip' to add a new position to the Trading Portfolio. And that nickel started burning a hole in my pocket almost immediately. Earlier today, checking the list of top % gainers on the NYSE, the only stock that I found that seemed to fit my criteria was Kinetic Concepts (KCI), an old favorite of mine here on Stock Picks Bob's Advice! 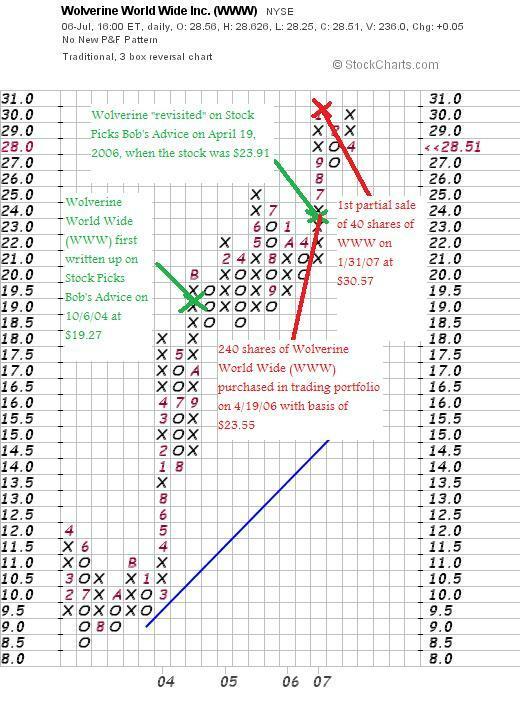 In fact, I wrote up Kinetic Concepts almost exactly a year ago on July 14, 2006, when the stock was trading at $44.45. As I write, KCI is trading at $55.95, up $1.10 or 2.06% on the day. With that nickel in my pocket, I went ahead an purchased 140 shares of KCI at $56.2356 for my account. Wish me luck! Before making the purchase I checked the latest quarter results as well as the Morningstar.com "5-Yr Restated" financials. Everything appears intact, and I went ahead and made a purchase. A few moments before the close of trading my Precisions Castparts (PCP) hit another sale point and I sold 12 shares (1/7th of my 86 shares remaining) at $131.29. These shares were originally purchased 10/24/06 at a cost basis of $69.05. Thus, I had a gain of $62.24 or 90.1% since purchase. 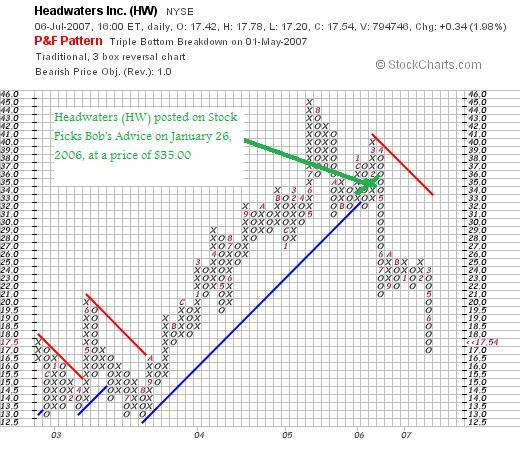 This was my third targeted sale, having sold 20 shares on 2/1/07 and 14 shares on 5/9/07. On the upside, my next sale shall be 1/7th of my remaining 74 shares or 10 shares at a 120% appreciation target which works out to 2.20 x $69.05 = $151.91. To the downside, after a 90% appreciation target is reached, I pursh up my stop to 1/2 of that gain or a 45% appreciation level to sell the remaining shares if they should decline to that level. That works out to 1.45 x $69.05 = $100.12. By the way, since I am at 18 positions (after my sale of MEDTOX earlier this afternoon), this subsequent sale on 'good news' indeed gives me a 'permission slip' to add a new position. I didn't have enough time to identify anything (did look a bit at the JCrew Group stock which was attractive but didn't have time to execute a purchase of shares). Thus, I have a 'permission slip' which carries over tomorrow and shall be on the look-out for a new stock! Wish me luck! Thanks again for visiting! If you have any comments or questions, please feel free to leave them on the blog or email me at bobsadviceforstocks@lycos.com. If you get a chance, be sure and visit my Covestor Page where my actual stock holdings and performance is tracked. Also be sure and check out my Social Picks Page where my stock selections on this blog have been recorded and followed by that website. If you have any time left after all of that, you might be interested in visiting my Stock Picks Podcast Website, where I discuss some of the stocks I write about here on the blog (and sometimes even sing a song or read a poem :)). MEDTOX Scientfic (MTOX) "Trading Transparency"
I wanted to keep you updated on a trade that I just executed in my Trading Account. A few moments ago I sold my 350 shares of MEDTOX at $25.80. As I write, MTOX is trading at $25.70, down $(2.72) or (9.57)% on the day. I do not know of any reason for the dip in this otherwise outstanding market. However, I purchased these shares on 6/26/07 at a cost basis of $28.58, giving me a loss of $(2.88) or (10.1)% since purchase. After an initial purchase I sell my holdings, regardless of news, etc., if they hit an 8% loss. MEDTOX did it. And out it went. I am now down to 18 positions. 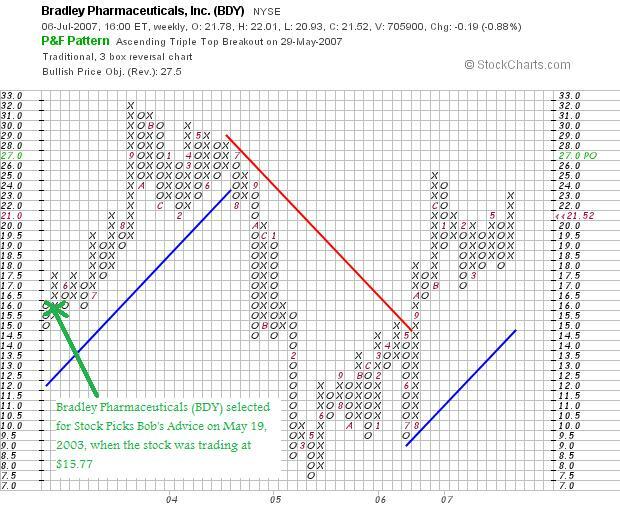 I may have an opportunity to purchase a new position if I can have one of my holdings hit a sale point (PCP and KYPH are near!) Anyhow, that's the news. I hope you all are having a great day otherwise. Even with this sharp dip, my shares are up overall and the rest of the portfolio is performing just fine. Bolt (BTJ) had a tumultuous day today. closing at $51.53, down $(4.90) or (8.68)% on the day. In fact, after hours as I write it is trading down another $(.54) or (1.05)% on the day. And this on a day it was up 4% earlier on only to sell-off and take a big swing lower. This is today's chart from Yahoo. It isn't very pretty :(. "Bolt (BTJ) is having a lousy day in an otherwise up market. 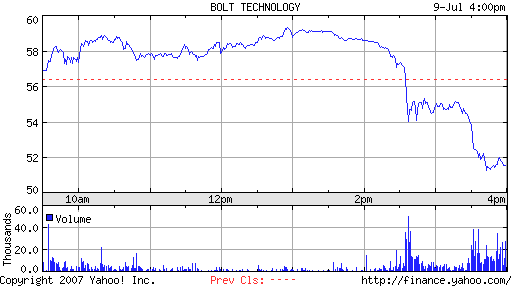 In fact, as I write, Bolt is trading at $38.01, down $(3.40) or 8.21% on the day. But why? The Yahoo Message Boards are busy, with apparent short-sellers trying to talk down the share price. The word according to these unconfirmed rumor-mongerers is that BTJ will be listed at a lower level on the IBD 100 listing that comes out each Monday in the Investor's Business Daily. But I don't see any confirmation of that either." In fact, the Message Boards are busy again. You can see the big price drop. Will this happen again? Will Bolt turn back higher and go to $100 or is it heading lower to $25. Frankly, I don't know. My strategy is to sell portions of a quickly appreciating stock and I have done that already. I have sold portions of Bolt at 30, 60, 90, 120, and 180% appreciation points. I was nearing my 240% appreciation point sale when Bolt turned lower. 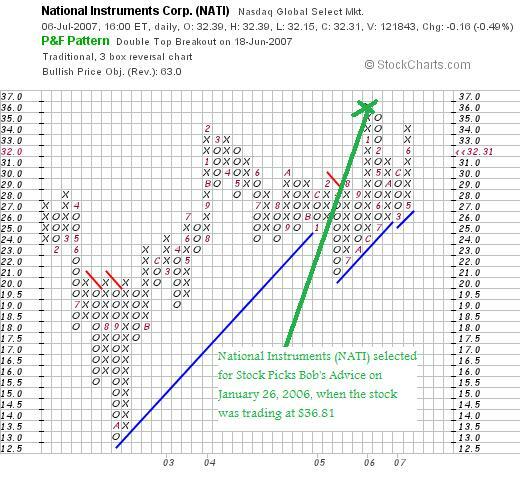 If the stock declines to a 90% appreciation level for me that will also trigger a sale on the downside. The stock has moved almost vertical in appreciation, and it is to be expected tha the stock will move lower before consolidating and moving higher once again....I hope!